The Family Channel Big Ticket Summer Concert set list has been released! The concert is scheduled for Sunday, August 26th with doors opening at 4:00pm ET, and R5 is scheduled to perform first starting at 4:30pm ET! Click here to view the full set list from Family Channel. Pennsylvania! Meet and Greet tickets are available for R5's show at The York Fair in York, Pennsylvania with special guest Max Schneider! To purchase your meet and greet tickets, please click here. Also, we've updated the R5 Events Center with updated details on all of R5's shows this year so far! Did you know R5's show in December during the Progressive Skating & Gymnastics Spectacular will be taped in front of a live audience for a national telecast on Saturday, January 19, 2013, on NBC, as part of the Pandora NBC Skating Series? Woohoo! We're really excited for all of R5's upcoming and future events! Will any of you be attending any of them? 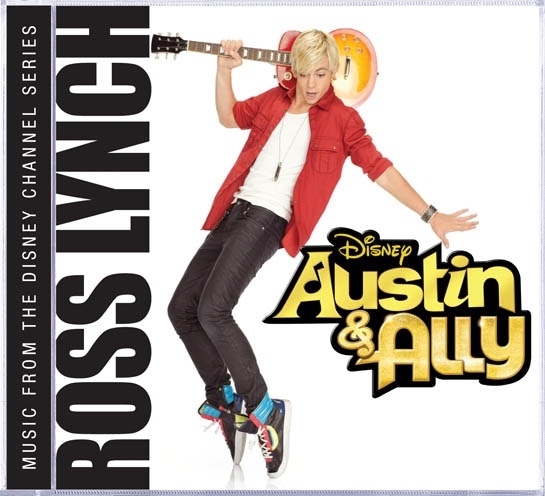 The cover of the up and coming Austin & Ally soundtrack was released earlier yesterday. The soundtrack is set for release on Walt Disney Records on Tuesday, September 11, 2012 and is available for pre-order today from Amazon.com and digitally from iTunes. Click here to pre-order your disc copy from Amazon.com. To pre-order your digital copy from iTunes, please click here. The 14 track album features 12 full legnth songs featured on the show, along with 2 bonus tracks performed by R5. So will you be getting your hands on this soundtrack once its available? 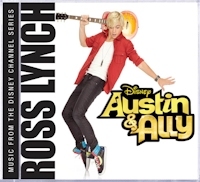 Billboard got exclusive news about the forthcoming Austin & Ally soundtrack! The soundtrack will be released on September 11, 2012. The album will feature 14 tracks, 12 of which were sung by Ross Lynch, and will also feature 2 bonus tracks performed by R5! 1. "Heard It on the Radio"
3. "Not a Love Song"
5. "Na Na Na (The Summer Song)"
7. "It's Me, It's You"
10. "The Way That You Do"
11. "Break Down the Walls"
Billboard also went on mentioning the great success of the current single from the show Heard It On The Radio, "The album's current single, Lynch's "Heard It On the Radio," is off to a fast start in its first week of release. Its official video has earned 500,000 views on YouTube since its premiere on July 17, while the single takes a bow at No. 5 on Billboard's Kid Digital Songs chart. (It sold 6,000 downloads last week, according to Nielsen SoundScan.)" Read the full article here. So, who's excited, we sure are! R5 will be doing a Live Chat this coming Sunday, July 8th at 3pm PDT! R5 also tweeted "It's gonna be a PARTY!" More details to follow.